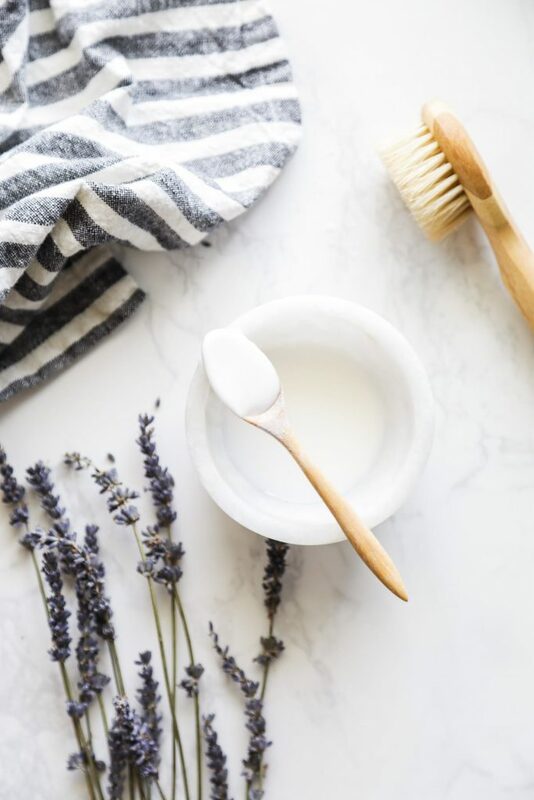 Taking care of the body, naturally, is about more than just making the switch to natural products. I learned this lesson the hard way after giving birth to my second child. I was a tired, stressed-out mom who was trying to keep up with a growing blog and be “all things to all people.” During this time, I neglected myself. The neglect eventually caught up with me via a hormone imbalance, which resulted in weight gain, acne, and fatigue. Over the past three years, I’ve prioritized taking care of myself again. As a result, my energy levels are up, my skin is clear (certainly not perfect, but not as problem-ridden as before), and I’m a better mom and wife. In the fast-paced society we live in, it’s easy to forget about taking care of ourselves. That’s why, year after year, I set the goal of intentionally caring for myself. Here are a few of the ways that I enjoy taking care of myself. 1. Drink plenty of water each day. I carry a reusable water bottle all day, and drink from it often. 2. Enjoy natural fat, as part of a real food lifestyle, on a daily basis: avocado, grass-fed butter, coconut butter, olive oil, etc. 3. Sleep at least 7 hours each night. 4. Exercise on a regular basis. Sometimes my exercise for the day is as simple as taking a walk around my neighborhood or stretching. Other times, I enjoy a barre or kick boxing class. The goal is movement each day. 5. Dry brush. Dry brushing supports the lymphatic system (a huge part of the immune system) and naturally detoxes the body. 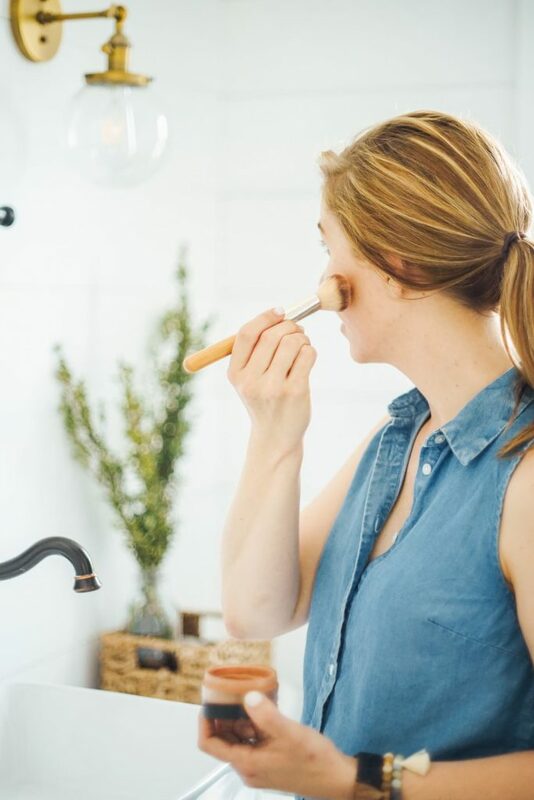 A few times a week, before or after a morning shower, I brush my skin (yes, my whole body) with a body brush (I found my brush on Amazon). I start by brushing the top of my feet and legs, then work upward towards my stomach, and then focus on my arms. The entire process only takes a couple of minutes. 6. Enjoy a face mask. I like to use a face mask once or twice a week. A mask helps to improve the overall appearance and condition of the skin, and it’s a cue for my body to rest for a few minutes. 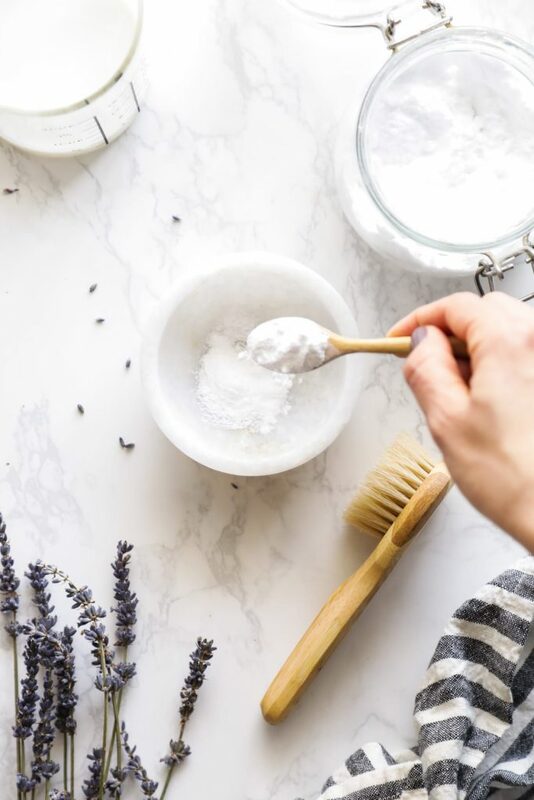 The mask you choose to use depends on the ingredients you have on hand and your skin, and if you want to make your own or purchase a mask from the store. Personally, I use the Clay Acne Mask on a weekly basis, and occasionally a seasonal food-based mask. 7. Exfoliate. I like to exfoliate my face once a week, in the morning. 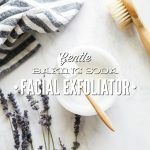 An exfoliator is used to slough off dead skin cells and get the blood flowing to the skin. These practices require intention on my part. Because without intention, my days become too full and busy for self-care. Besides movement, my favorite self-care practice is definitely using a mask or an exfoliator on my face. Applying such a treatment to my face makes me feel like I’ve visited a spa, which ranks high on my list of relaxing activities. 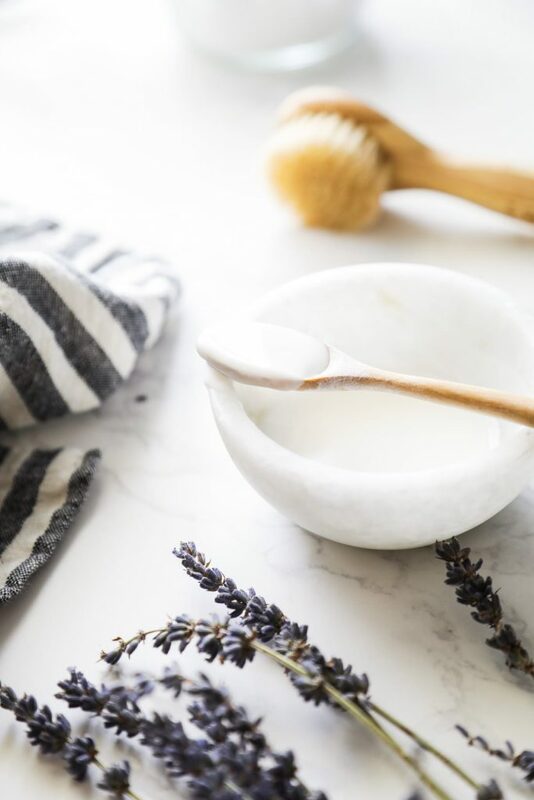 I’ve shared a few natural masks and exfoliators here on the blog and in my body care book. 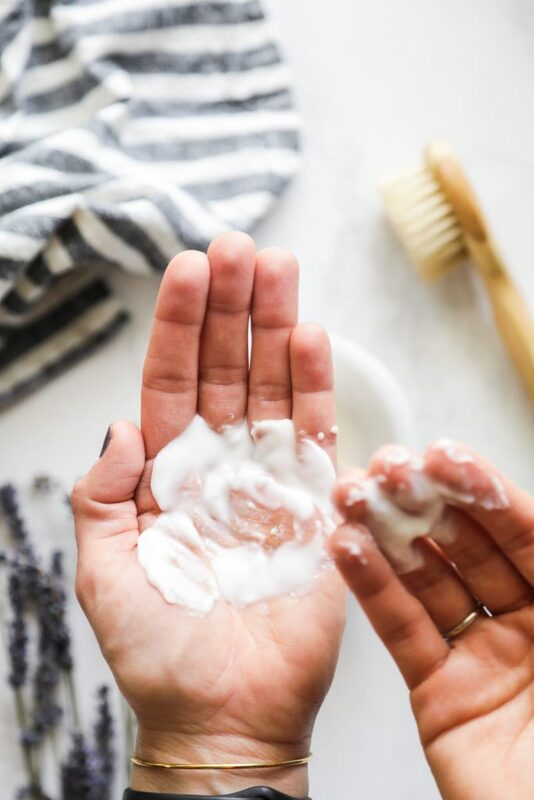 Today, I want to add one more exfoliator recipe to the blog (this recipe comes from my book) in hopes that you’ll have quite a few options for your own self-care time. 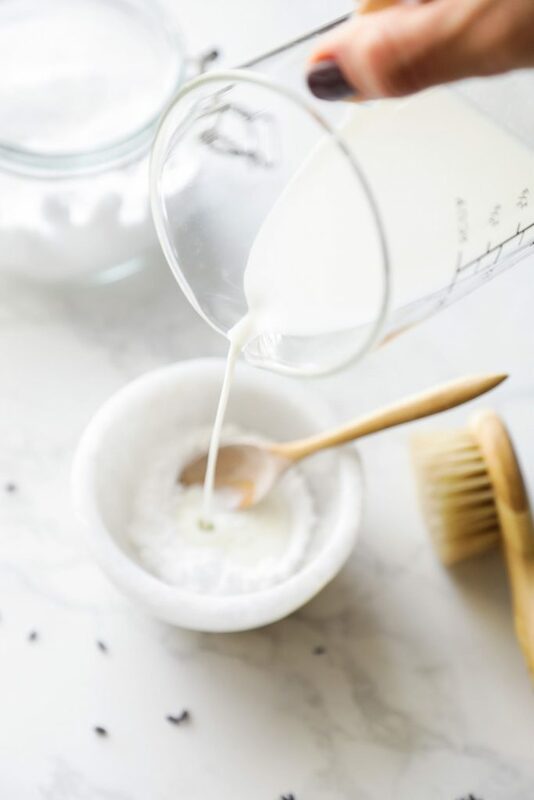 This recipe is so easy and you probably already own the ingredients needed: baking soda and a liquid. My favorite liquid is milk. Other options, include: a hydrosol (try rose water) or plain water. The liquid used is up to you, based on what your skin responds to the best. 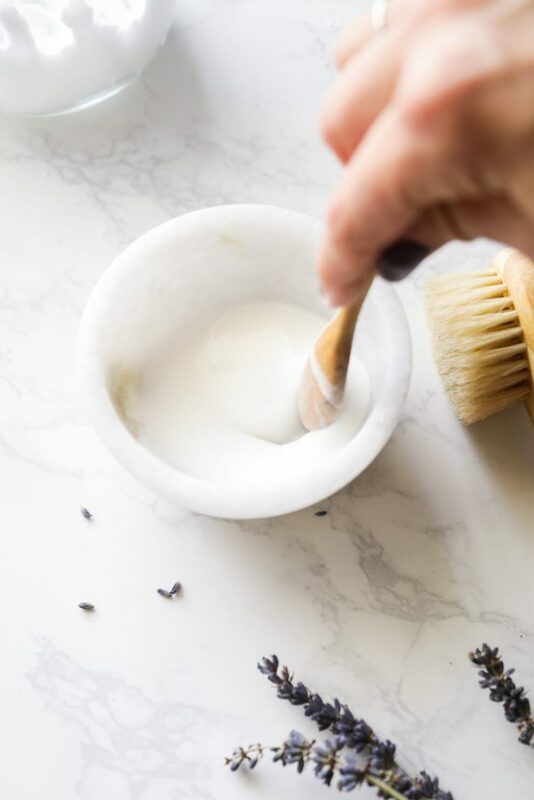 A gentle, two-ingredient facial exfoliator made with kitchen ingredients. In a small bowl, stir together the baking soda and liquid. Wet your hands. Gently massage the exfoliator on the face using circular motions, for about 30 seconds. Rinse the face clean with water and a washcloth. Follow-up with a moisturizer. I loved this facial exfoilator! Definitely going to make this again! I’m so glad you enjoyed it, Marissa! Thank you so much for this great tip..
my skin is too rough and i have to exfoliate to remove dead cells over it..
And more than that I have some pimples issue..
so this will be really help ful for me. Glad it was helpful, John!